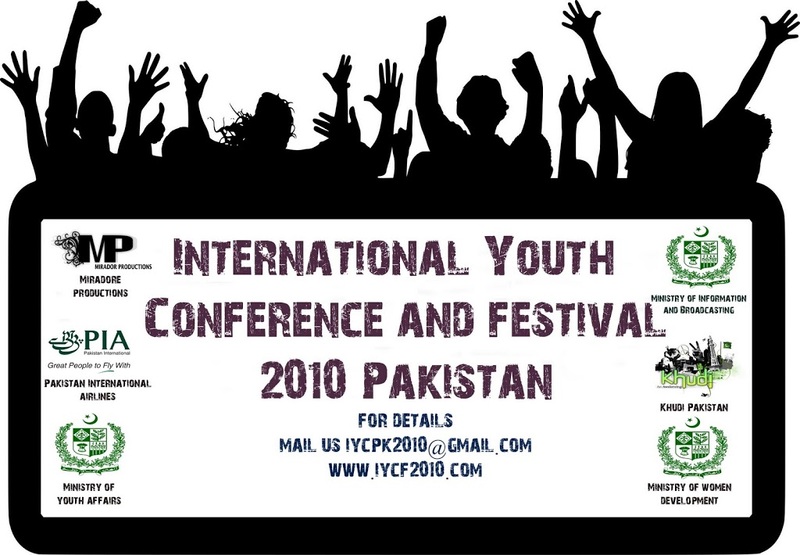 ISLAMABAD – Pakistan’s first International Youth Conference & Festival (IYCF) kicked off Pakistan National Council of the Arts (PNCA) in Islamabad on Monday which seeks to bring together 300 Pakistani and international delegates to inspire, encourage and empower the youth. The festival has been organised by Miradore Production and Khudi Pakistan in collaboration with the Ministry of Information and Broadcasting, Ministry for Women Development, Ministry of Labour and Manpower, UNFPA, NCHD, Google, Youtube and global Alliance for Youth Movements (AYM) as online supporters. The day started off with a seminar titled ‘Bridging Cultural Divides’, followed by a roundtable discussion including Ali Abbas Zaidi (Pakistan Youth Alliance), Sana Saleem, Osama Kazi, Zafarullah Khan and Karamat Ali who highlighted the issues youth of Pakistan are facing and provided solutions to challenge the stereotype thinking that often develop in the absence of direct communication channels. Four workshops including Music by Todd Shea, Drama by Osama Kazi, Art and Architecture by Asif Raza and Photography by Kohi Marri and Ali Maqbool were also held whcih focused on introducing Pakistani cultural heritage among the youth. “Youth conferences are annual events happening around the world. But this is the first time we are bringing it to Pakistan” claimed Abdul Rehman, one of the ten-member team of organizers. Renowned national and international personalities would also grace the event and interact with the youth in remaining three days, he added. In the discussion titled ‘Living Between Borders’ the participants including Saima Mohsin, Todd Shea, and Peter Nicholas highlighting the aspects of how easy is it to transcend borders and to communicate across culture. The participants discussed the themes of social activism, bridging cultural divides, rights of minorities and disaster management. The main objective of the conference is to promote peace and harmony among the Youth of different countries of the world and provide an opportunity to the young leaders of the world to interact with one another and strengthen goodwill and foster understanding among them. “We hope that this event will become an annual feature so that it can contribute to the process of reinvigorating Pakistan both at home and abroad as an aspiring democratic country” said Maajid Nawaz, founder of Khudi. With an aim to highlight the role of youth in peace building and to build cultural, regional and religious relationships through dialogues, the events was attended by over a hundred students while another 50 to 60 from the US, UK, Turkey, Somalia, Malaysia, Thailand, Bangladesh and Scotland also participated.